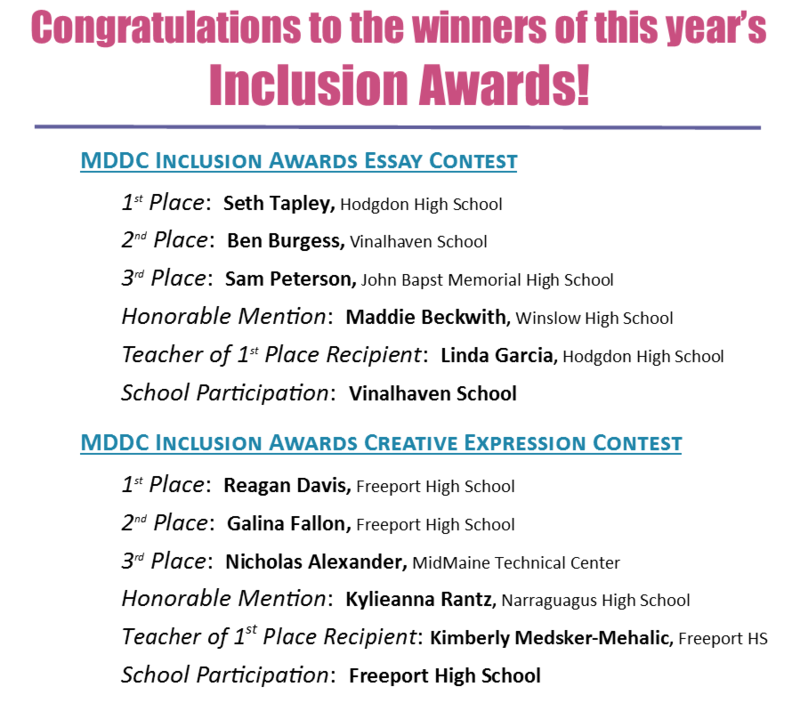 Congratulations to the winners of this year’s Inclusion Awards! Welcome to the Maine Developmental Disabilities Council! MDDC is a partnership of people with disabilities, their families, and public and governmental agencies which promotes and advocates for equal opportunities for persons with developmental disabilities to participate in every aspect of community life. MDDC is committed to creating a Maine in which all people are valued and respected because we believe communities are stronger when everyone is included. 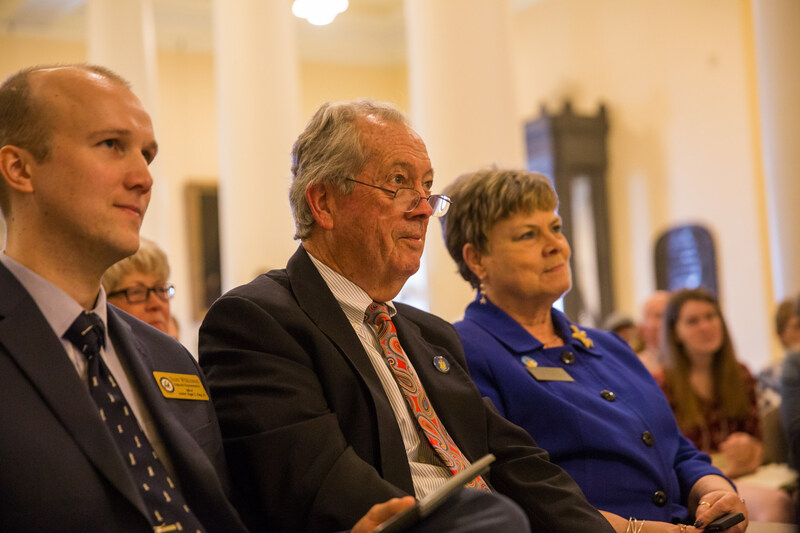 ADVOCACY DAY AT THE STATEHOUSE IS BACK!! We will meet our legislators and take a tour of the statehouse. Pre-Registration Required by March 22nd. Space is limited. 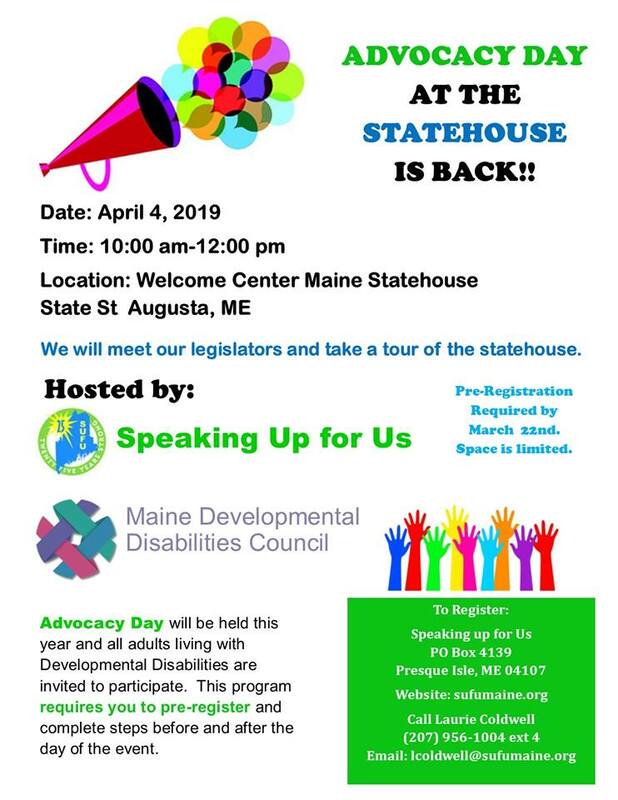 Advocacy Day will be held this year and all adults living with Developmental Disabilities are invited to participate. This program requires you to pre-register and complete steps before and after the day of the event. 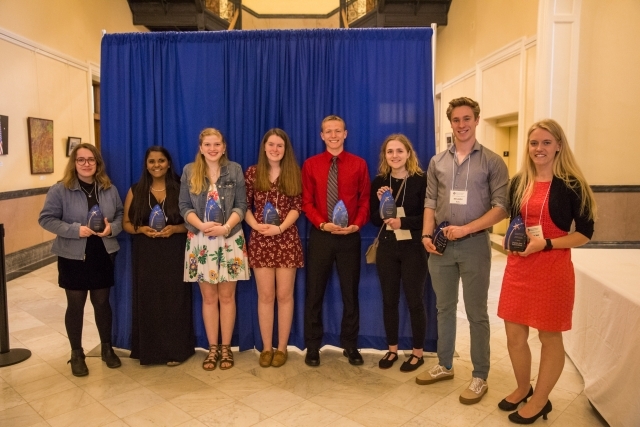 The Maine Developmental Disabilities Council has recently put out a call for submissions for its 2019 Inclusion Awards, which celebrate extraordinary high school students who think deeply about issues of inclusion for people living with developmental disabilities. Open to all Maine high school juniors and seniors, the Awards have two components: an Essay Contest and a Visual Arts Contest, which allows students to express these ideas as artwork. 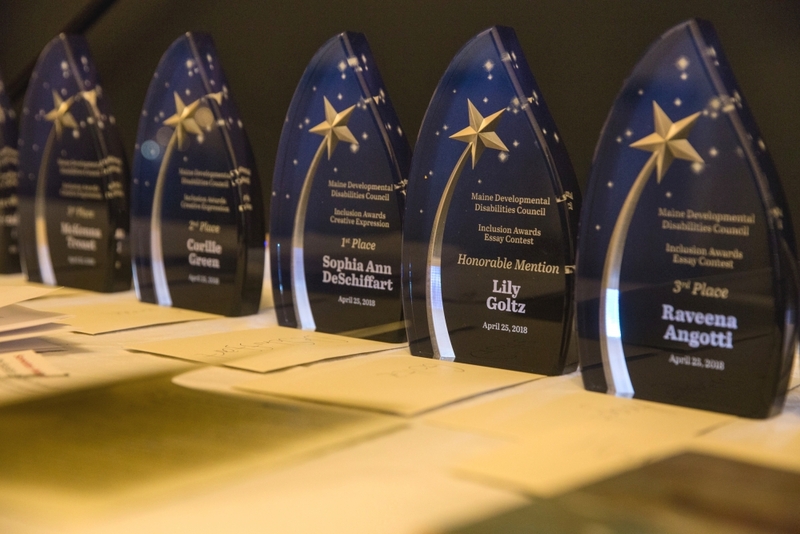 The deadline for entries is Friday, February 15, 2019, and scholarship prizes range from $250-$1,000 for individual entries; $500 will be awarded to the teacher with the first-place winning student and $2,500 goes to the school with the most entries. 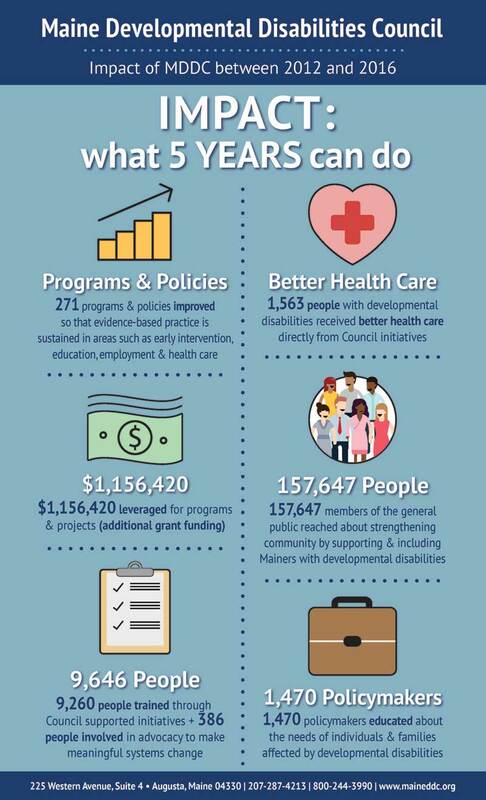 The Maine Developmental Disabilities Council (MDDC) is a partnership of people with disabilities, their families, and agencies which identifies barriers to community inclusion, self-determination, and independence. MDDC is committed to creating a Maine in which all people are valued and respected because we believe communities are stronger when everyone is included. Congratulations to our friends at Momentum, who are the newest recipients of our Small Grants Program! They are developing a program called the Relate Healthy Relationship Leadership Development Program, which will include the development of a comprehensive healthy relationship and sexuality curriculum as well as a leadership development program, designed to increase the capacity of individuals with IDD to support healthy relationships. Momentum will be running workshops at their locations, as well as creating videos that will serve as a continuing resource for the larger DD community. We are so excited to support this important work! 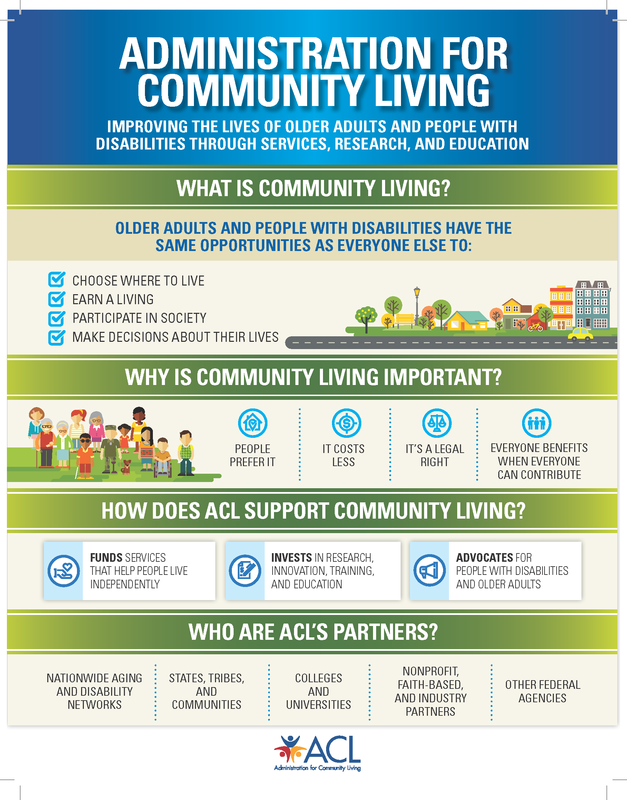 Why is community living important? On April 25th, the Maine Developmental Disabilities Council (MDDC) hosted its 3rd annual Inclusion Celebration in the Hall of Flags at the State House, celebrating the efforts of high school juniors and seniors who created essays and artworks reflecting on the meaning of full inclusion of individuals with developmental disabilities in our communities. The students honored were: Caleb Richardson, Cony High School; Sophia DeSchiffart, Narraguagus High School; Taylor Files, Windham High School; Corilie Green, Freeport High School; Raveena Angotti, Hodgdon High School; McKenna Troast, Freeport High School; Lily Goltz, Lincoln Academy; and Alexander Les, Freeport High School. 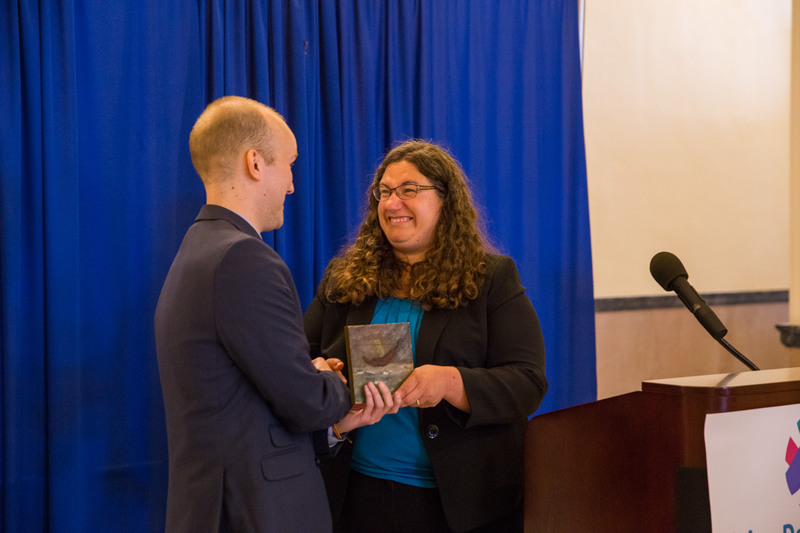 Two educators, Tom Wells from Cony High School and Michelle Birkenshaw from Narraguagus High School were also recognized for their encouragement and support, as well as Hodgdon and Freeport High Schools for their extraordinary student participation. F.A.S.D. Guide for Pediatricians and Mental Health Practices - Dr. Larry Burd, Ph.D.